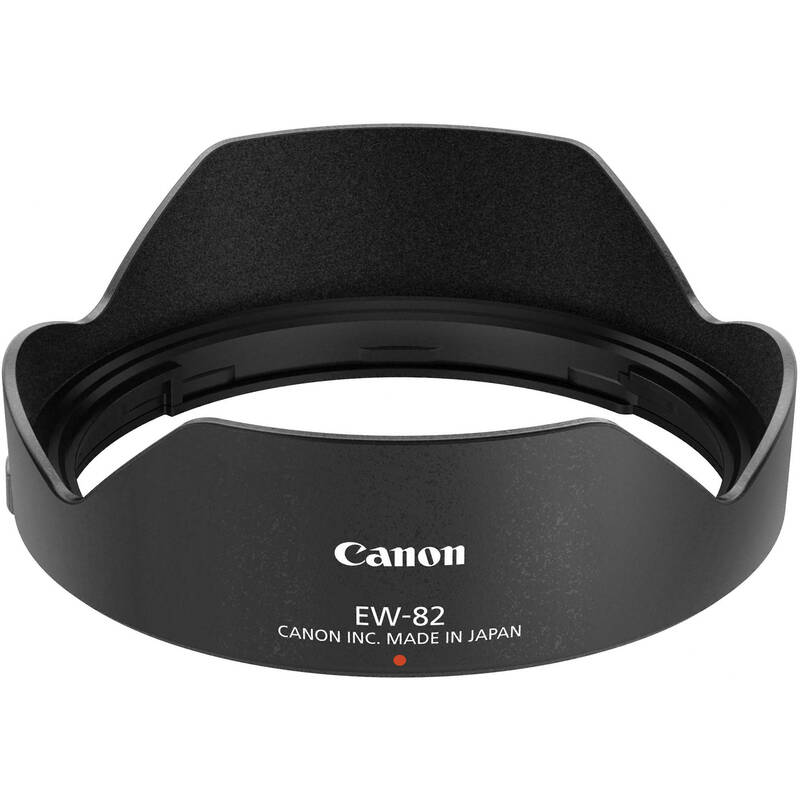 The Canon EW-82 Lens Hood is dedicated to the Canon EF 16-35mm f/4L IS USM lens and helps to minimize flare by deflecting stray light from entering lens. The hood also provides additional protection to the lens from accidental impacts, bumps, and scratching. This item is a replacement for the original hood included with the lens. Box Dimensions (LxWxH) 4.173 x 4.095 x 1.417"
EW-82 Lens Hood is rated 4.5 out of 5 by 4. Rated 4 out of 5 by Pixel from Must Have This product feels sturdy and well made. I always have it on my lens, and it saved my camera lens from getting cracked once when it took a fall. In that instance the hood did crack, but I think that's only normal and I was so glad that it was there to take the hit first instead of the glass on my lens! Rated 5 out of 5 by Marjan from Lens Hood Great service from B&H. The hood was received well packed along with a 32GB memory card and a 77mm lens cap. Everything was brand new and works fine. Currently have the Canon 17-40L and am not interested in upgrading at this point -- however, hate the dedicated lens hood (EW-83E) and am wondering if the lens hood for the new Canon 16-35L,f4 lens (EW-82) can be used successfully with the 17-40?